Does anyone really enjoy criticism? I really doubt it. But, criticism is a fact of life. There is no getting around it, so we must deal with it. I have also noticed that some people and certain jobs, hobbies and businesses attract more criticism than others. We writers gain our fair share (and probably more), and network marketers, MLM companies and the direct sales industry also gets a substantial amount of criticism. In today’s post, I am going to give you some advice on the top 7 ways on how to deal with criticism. And to add to these, there are quotes that fit. Many of us have this internal defensive wall we have built to battle against criticism. Part of that defense, when we know we are about to be critiqued, is to close off our hearing. Or we begin to plot a response without hearing the criticism completely. After listening completely, take a moment to process what that person’s intentions are in critiquing you. You can do this by past patterns and their demeanor during the critique session. By knowing the person’s intentions, you can judge your next actions. No matter if the intentions are constructive or destructive, the professional will respond with a thank you for the feedback. And never will a professional get defensive and argue about the critique. I would go so far to say that, with a smile, you do correct any inaccuracies the criticizer has voiced, but without using an arguing or debating attitude. I suggest if you think the criticism is of a destructive format, you leave your response at a thank you and proceed no further. Either change the subject or excuse yourself from the meeting. But, if the critique is constructive, I suggest going farther and asking the person their suggestions on how to change and if they will help you. 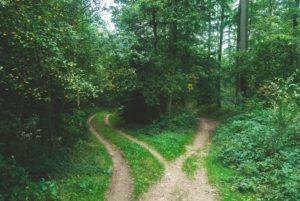 Employee or Entrepreneur: Which Option is a Better Fit for You? I know this is one of the most difficult tips to follow. But let me be straight with you here… Constructive criticism is not meant to attack your person but to help you mend a weak area. Destructive criticism is meant to attack you as a person usually, but if you take it personally, the destructor has accomplished what their goal. It makes no sense to take it personally either way, so don’t. Okay, you received some criticism and you realize there is truth in it. Now you need to determine what actions you can take to change that issue. Your MLM sponsor simply critiques you and says that you tend to “talk over” prospects when you are trying to recruit. Wait! You have had friends tell you the same thing in other scenarios. The easiest method to fix this is to consciously decide you WILL NOT talk until the other person is completely done saying what they have to say. But while doing this, you will listen more intently and when you think they are done talking, wait 3 seconds to ensure they are. Start practicing doing this with everyone, not just prospects. The power of destructive criticism lies in the response of the receiver. I like to equate it to a rabbit (the negative criticism) trying to fight an alligator (you). If you even respond to it, it gains power and that rabbit could grow into Elmer Fudd with a double-barrel shotgun. Ignore the criticism and it stays a rabbit and will soon be “gobbled up” by the alligator. That last quote by Teddy Roosevelt says it all. 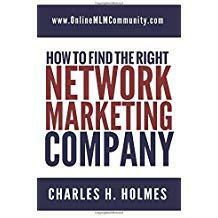 You are a Network Marketer! You stand in the arena and are battling for success. Use criticism as a step toward that success and not as an elevator to failure. I hope these tips help you. If you have any questions, feel free to post them below.